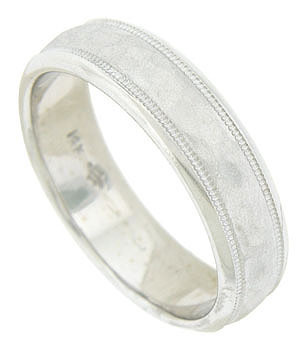 This 14K white gold mens wedding band features a brushed hewn surface flanked by impressed milgrain and brightly polished edges. 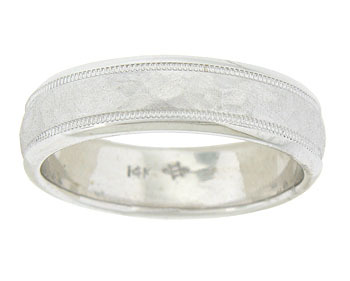 The antique style wedding ring measures 6.39 mm in width. Size 11 3/4. We cannot re-size.